Last week, we introduced Part Two of our special five part series on the Impact of Brexit on NHS Procurement for Healthcare Services. We are a team of experienced commercial advisors, health and care procurement managers and contract managers who work directly with clients to deliver commercial interventions. Part one set the scene of what Brexit means for procurement. Part two explored the option of European Economic Area (EEA), part three explores the option of Government Procurement Agreement (GPA) – Plus, part four explores a ‘No Deal’ Scenario and the fifth and final part of our series will present our guidance for commissioners in preparing for change. Each part will be published every Monday over the next four weeks, so that you can start your year prepared for change. In this article, we look at the future Procurement Regulations for commissioning healthcare services, which is GPA and GPA Plus. 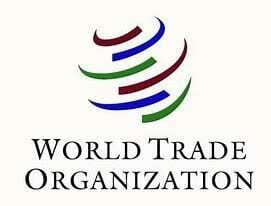 The World Trade Organisation (WTO) currently has 164 members and deals with the rules of trade between these nations. Its main function is to ensure that trade flows as smoothly, predictably and freely as possible, its primary purpose being to open trade for the benefit of all. What is the Government Procurement Agreement? The Government Procurement Agreement (GPA) Regime is part of the WTO. This is a plurilateral agreement which means that one or more WTO members are a part of the Agreement but not all. There are currently 19 parties in total signed up to the GPA who currently make up 47 of the WTO members. Some of these other members are USA, Canada, Netherlands (with respect to Aruba), New Zealand, Norway, Singapore and Switzerland. The fundamental aim of the GPA is to mutually open government procurement markets between members. It is interesting to note that these GPA negotiations would only be with a limited number of countries, EU members being a key factor. Other major players such as China and Russia are not full members of the GPA. The EU is currently a member and therefore the UK is also a member through its EU membership. Once the UK is no longer a part of the EU it will also cease to have GPA membership. The UK’s application to become a member in its own right was seen through the WTO’s Committee on Government Procurement on 27th November 2018. Parties to the GPA approved in principle the UKs final market access offer to take part in the GPA following its departure from the European Union. Parties to the Agreement are now deliberating on the language of a decision to be put for formal acceptance at a later stage. Parties of the GPA welcomed the possibility for their suppliers to continue enjoying the same access to the UK’s government procurement market with all re-emphasising their clear desire for the UK to continue participating in the Agreement in a seamless manner post-Brexit. This means that the UK could continue to trade with the EU through this agreement as both the EU and UK will continue to be members. It also continues to provide access to the other 19 parties that the UK currently has relationships with through EU Membership and potentially opens up further opportunities for enhanced reciprocal trade with the other GPA countries. So, what is the main difference between GPA and GPA Plus? Well, they’re similar in most ways, however the GPA Plus option allows for members to supplement additional rules to those set out in the GPA. What does it mean for Healthcare Commissioners? Bearing in mind that the Patient Choice and Competition Regulations (PCCR) 2013 would still be applicable at a national level here, the UK would not have any reciprocity with other GPA countries, which could be to the detriment of those UK organisations that wish to provide health and social care services in other countries. In this scenario, healthcare commissioners would simply have to abide by PCCR2013 in terms of either advertising or using most capable provider where relevant. In line with PCCR2013, this approach might facilitate integration. PCCR2013 gives specific powers to NHSI in terms of ensuring compliance with the regulations. This would fall under the GPA Plus umbrella. There is no indication at present as to whether GPA Plus is being considered as an option. Here, healthcare commissioners would have a new set of rules on how to advertise for other countries with reciprocity arrangements to have a chance to bid for UK’s health and social care contracts. In practice essentially, the GPA and EU Regulations are broadly similar in that they only apply above a certain financial threshold. Although aggrieved bidders can still challenge a procurement under GPA rules, it is acknowledged that GPA rules are currently not as stringent as EU rules. This could be supplemented in case of a GPA plus scenario, of course. Capability versus value for money? Even if the PCR 2015 links to the EU were to be severed, and replaced by GPA links, there continues to be a requirement for commissioners to award contracts based on capability of providers and to deliver value for money, whilst maintaining a record of how the decision was made, though not necessarily through electronic procurement. This may be a more suitable approach for healthcare commissioners given the, sometimes contradictory, relationship between the Regulations and NHS England Guidance set out in the Five Year Forward View where integration is at the heart of transformational plans. There is a possibility that there will be no EU-UK trade and procurement agreement in place at the time of Brexit. Therefore, the link to the EU Procurement Directives would be severed. For example, it will not be possible to advertise via OJEU or to rely on European Court of Justice’s decisions. It would be expected that the government would amend the current Public Contract Regulations 2015 and remove any reference to the EU. Of course, the NHS’s Procurement, Patient Choice and Competition Regulations 2013 (PCCR 2013) would still apply*. *Government is still silent on whether any amendments to PCCR 2013 will be forthcoming although we know that the NHS has put forward a ‘wish list’ of legislative changes to be made as part of the imminent 10-year plan. Part five of our series will present our guidance for commissioners in preparing for change.